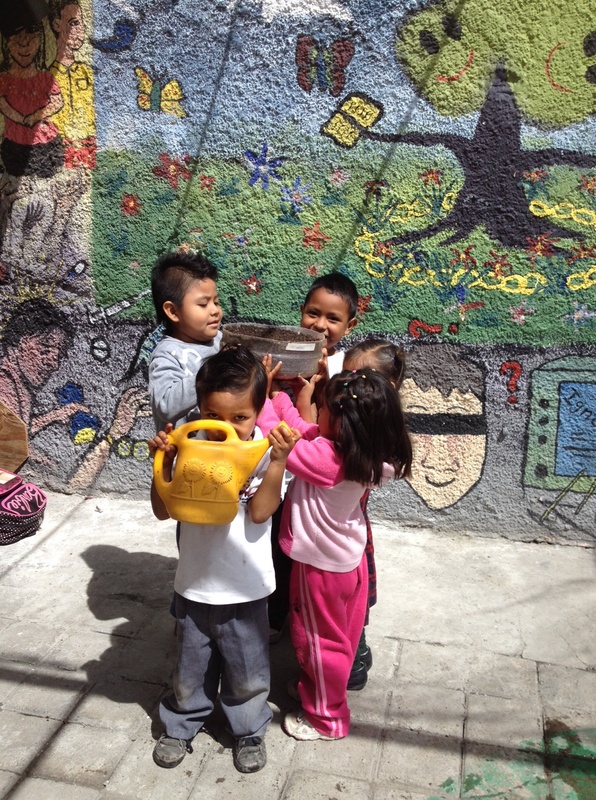 During the last two months of my Peace Corps service, I began to collaborate with CIASPE on a rooftop garden in a day-care center (t.e.p.e). The students in the Center are at risk of childhood labor and/or at risk of living and working on the street. The school garden was to serve as a way to connect the children with nature, learn a useful set of skills, and offer a break from the regular classroom routine. Sandra, my co-worker, and I were to facilitate sessions with 3 different age groups ranging from kindergarten to high school. The planning of each session was complex, as each age group was very distinct, but the planned activity for each day was to be the same. 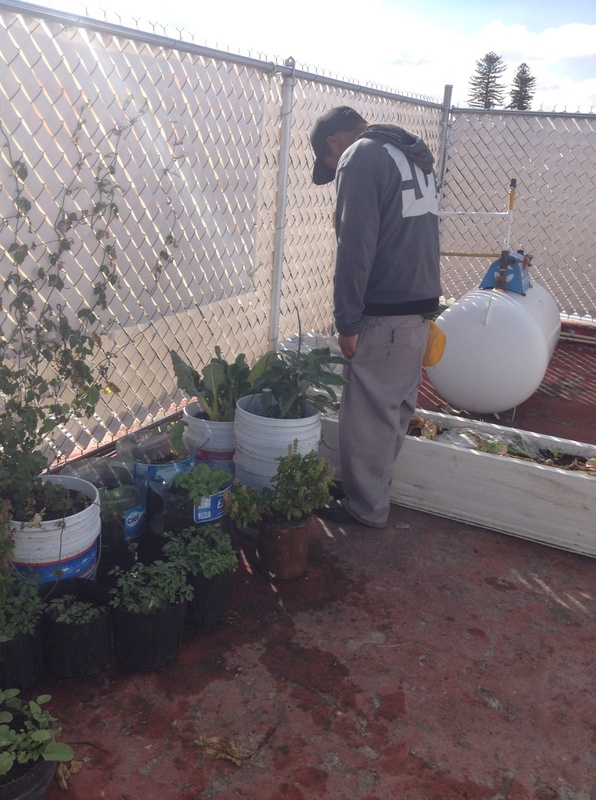 We began with the base – soil and composting. The high school boys weren’t too happy about using a shovel or getting dirty. The middle school kids really liked soil, so much so that they found it fun to throw it at classmates. The kindergarten students were content simply running their hands through the soil. After Day 1, a day full of trying to maintain control, attention, and in-tact fingers, Sandra and I went back to CIASPE exhausted. We began to pick apart the session to see what went right, what went wrong, and how we could move past incidents like “soil in the face of a friend” and the resultant hysterics. We knew we had to change our approach and come to an agreement with the students about appropriate guidelines. That’s when Guideline 1 was created: No throwing soil at oneself or another student. With each session, the list of guidelines grew. We utilized guidelines rather than rules to avoid becoming potentates. We wanted to create an environment in which the students had control over one another, the sessions, and the activities. After all, it was their garden. Sandra and I were not going to water it daily. They were. We were not going to decide what was planted. They were. We knew how important it is that the participants’ have a sense of ownership of the garden, because experience has shown that school gardens are everyone’s when there are pretty butterfly visitors, but when it comes time to weed it is no one’s. We needed the students to be excited and more importantly, invested. The chaos boiled down. That was until they found a frog. That session was a ruckus. But instead of fighting it, Sandra and I abandoned seeding to learn more about frogs’ habitat and what they need to survive. 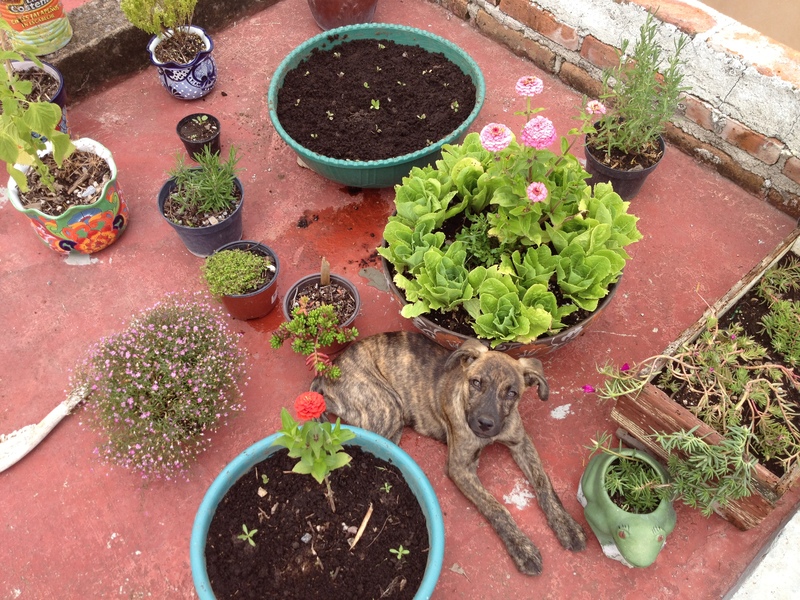 So, things were going along pretty swimmingly and the rooftop garden was growing. 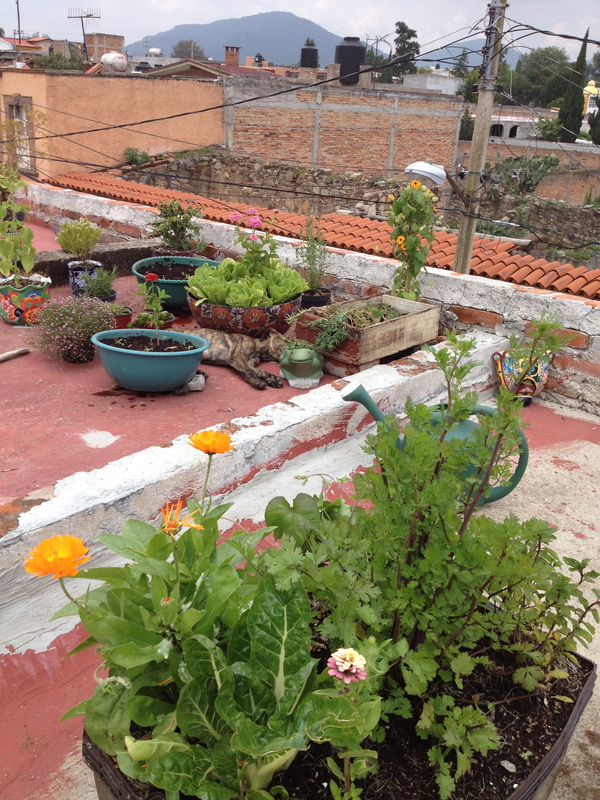 We had some beets ready to harvest, some chard, and the herbs were doing great with Queretaro’s full sun. 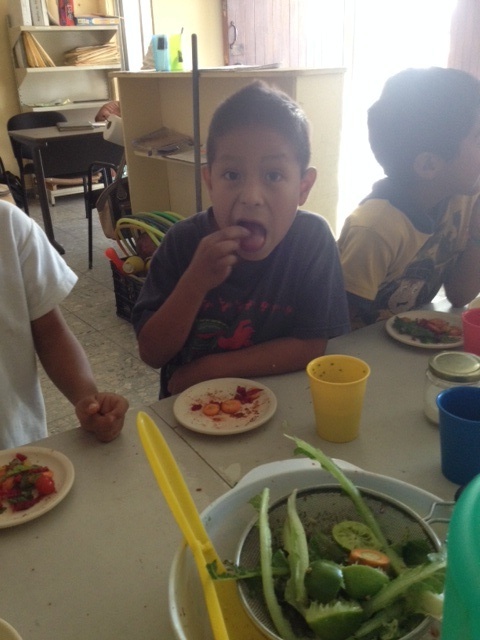 Many students were still learning the names of many of the veggies, so we wanted to keep the excitement growing and actually have them taste the fruits of their labor. To experience earthy beets, distinguish chard from lettuce, and bite into a crisp carrot is to fall in love with a garden. To give the students that experience, we designed a cooking class. As Sandra and I discussed the session, we realized that we didn’t need any new guidelines that day. All along, we just had to give them some green juice. PS: I am now a Returned Peace Corps Volunteer back in NYC planning for the next adventure. Stay tuned!